The house is located in a resentful Etna village (Ragalna) out of the chaos of the city and with an enviable climate. 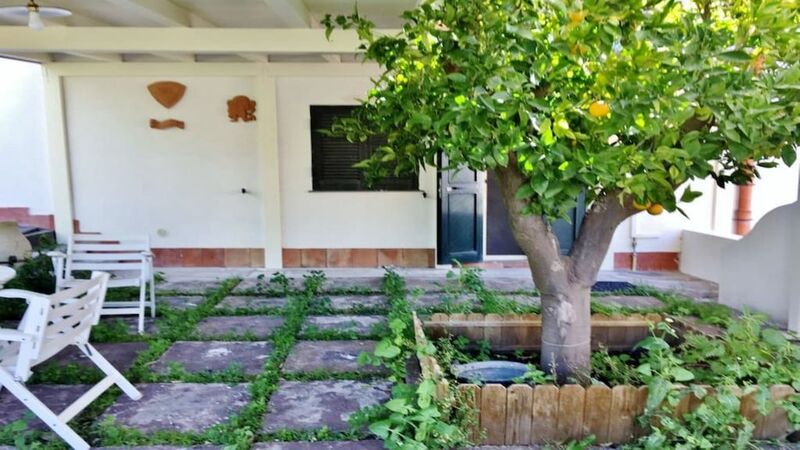 The house dell'Arancio is ideal for families or groups of friends who want to hike Mount Etna and turn Eastern Sicily (Catania, Syracuse, Taormina, neighboring countries such as Nicolosi, Zafferana, etc.). The house is completely independent, has parking with independent entrance for guests, a garden and a large porch where it is pleasant to stop during meals or to read a good book inebriated by the smell of orange. It has three bedrooms, two bathrooms and a laundry room, as well as a large living room. It is equipped with everything you need, as well as TV, WiFi, espresso machine, iron and ironing board, etc.